Roger Zetter is Emeritus Professor of Refugee Studies and a former Director of the Refugee Studies Centre at Oxford University. He gained degrees from Cambridge and Nottingham Universities, before completing his DPhil at the University of Sussex in 1987. His thesis dealt with the subject of Refugee Labelling and Access and his paper ‘Labelling Refugees: Forming and Transforming a Bureaucratic Identity’ was published in 1991 in the Journal of Refugee Studies, becoming one of the most frequently cited papers on the subject. Throughout his career Zetter’s research and teaching has centred around the institutional and policy dimensions of forced migration, the impact of humanitarian assistance on refugees and asylum seekers and shelter and settlement policies. Roger Zetter has written over 30 peer reviewed papers, 20 book chapters and 10 major research reports. From 2006-2011 he held the position of Director of the Refugee Studies Centre and in 2009 he was the lead consultant for the development of the U.N. Inter-Agency Standing Committee (IASC) Strategy for Meeting Humanitarian Challenges in Urban Areas. 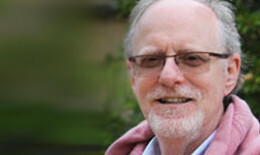 In recent years his work has focused on three areas of study. The first explores the cause and consequences of European deterrence and restrictionism, as well as the life of refugees and asylum seekers and their integration into society. The second deals with the environmental impacts of climate change on population displacement and migration. In 2009, his knowledge in this area led him to be funded by the Government of Norway, Switzerland and also the UNHCR to conduct research into ‘Protecting Environmentally Displaced People: Developing the Capacity of Legal and Normative Frameworks.’ Furthermore, from 2011-2013 he has been funded by the MacArthur Foundation to conduct a study entitled ‘Environmentally Displaced People: Rights, Labels and Policies.’ The third theme, with the World Bank, has been to develop tools to measure the macro- and micro- economic impacts of refugees and to promote developmental responses in situations of forced displacement, alongside humanitarian needs. He also served as Editor of the 2012 ‘World Disasters Report’ for the International Federation of the Red Cross (IFRD). During the course of his career he has been a consultant to many international and intergovernmental organisations.